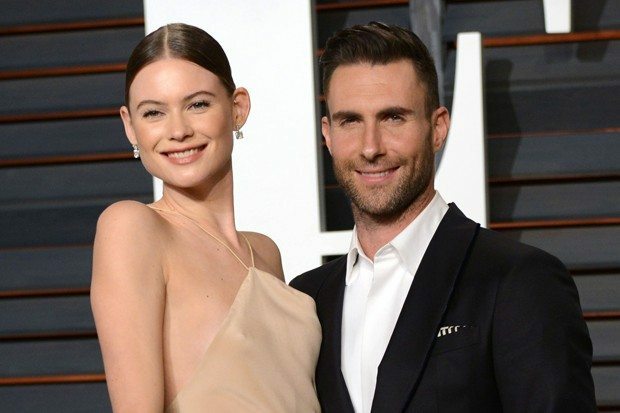 Adam Levine-Behati Prinsloo Welcome Baby Girl! The couple knew about the gender of their bundle of joy, but wanted to share it with the world only once she was born. So, what’s little Ms. Levine’s name? They’ve decided to name her DUSTY ROSE. Wow! It’s so unique and yet so pretty! And in keeping up with Hollywood’s latest trend – they’ve kept her first name gender neutral (Ryan Reynolds and Blake Lively named their little girl ‘James’). She will also be inheriting some killer genes, what with talented parents who dominate in their respective fields and are also fit AF. Behati Prinsloo’s baby girl will have her mom’s genes! It is said that they decided to decorate the new born’s room with a killer jungle theme. The supermodel had to take time off to care for her growing bump though her husband took to the stage to tour with his band, Maroon 5. Adam Levine is also busy as one of the judges of popular talent content, The Voice, along with Alicia Keys and Miley Cyrus. The couple have been together a total of over 2 years. They have been very vocal about their relationship and have shared their ongoing love with each other on their respective social media accounts. This is the first child for the couple and we’re looking forward to many more little Levine babies, as Adam has in the past expressed he would like to build his brood with his wife.